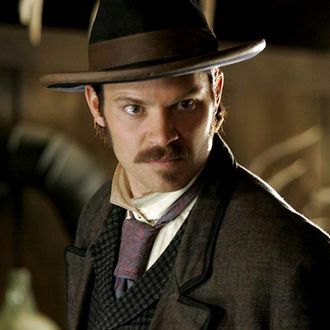 Ever since Deadwood, the TV show, met its untimely demise on HBO in 2006, David Milch has promised to wrap up the boozy, dusty, philosophical Western with a movie. Years later, it looks like that will happen. HBO was planning on a release in spring 2019, though that is not deadlocked, according to the president of HBO programming, Casey Bloys. Dan Minahan, who directed four episodes of the original series, will helm the film. “Let’s take the green light and celebrate that,” Bloys said, not adding further detail about the movie. Cross your fingers that nothing goes wrong as they prep for shooting, not, of course, that anything would ever delay this project. Update 2/2/19: Deadline is reporting that the movie is most likely headed for a spring 2019 release. That will make it eligible for the 2019 Emmys. The movie will be set 10 years after the series, as the cast reunites to celebrate South Dakota’s statehood. Who knew the Deadwood movie would have the same plot as the Wet Hot American Summer TV show?